Preventing human errors is the goal of a new NFPA 70E rule that appears in Article 110.1(H)(2) which states that the employer’s risk assessment procedure shall address the potential for human error and its negative consequences on people, processes, the work environment, and equipment. This important change to the 2018 edition of NFPA 70E has to do with identifying factors that increase the chances of a human error during the performance of a task and taking a preemptive measure, or measures, that can reduce the likelihood of an error occurring. The electrician’s pencil doesn’t have an eraser. 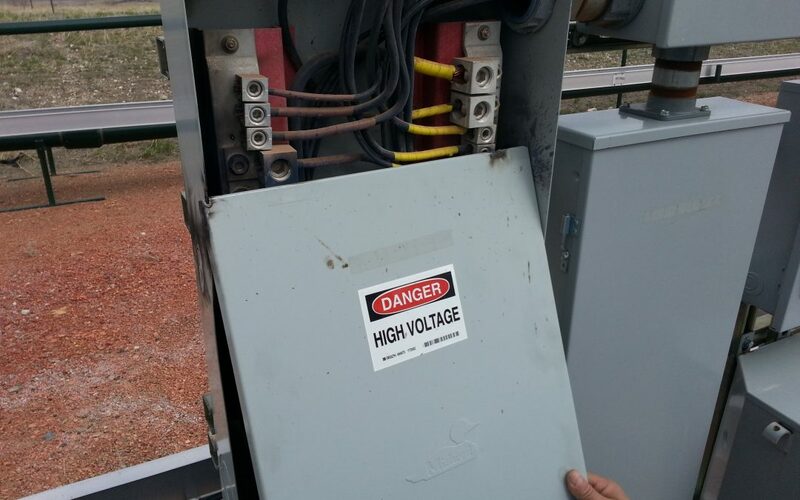 Unfortunately, many electrical accidents result from human error, even the best make mistakes and when it comes to electrical work even a slight slip-up can result in a major injury or catastrophic equipment damage. In some cases, there is no turning back. Simply dropping a screwdriver, opening the wrong switch, or applying a voltmeter to a circuit in which it is not rated for can damage equipment and workers beyond repair. What is an Error Precursor? There are many factors that can make us more “error likely” when performing our jobs. These factors are called error precursors. Error precursors are unfavorable factors embedded in the task demands, work environment, or individual capabilities that increase the chances of error during the performance of a specific task by individuals. NFPA 70E list many of these factors in its new Annex Q Human Performance and Workplace Electrical Safety. If we can identify one or more of these error precursors before starting a job we can then select and use an error prevention technique known as a human performance tool to reduce the likelihood of that mistake occurring. A Pre-job Brief is an effective error-reduction tool. There are many human performance tools but one of the most effective is the pre-job brief. This simple discussion is typically led by the person in charge of the work, but the entire team needs to be engaged and actively participate in the brief to be successful. Each member needs to understand his or her role, the hazards associated, and how they are to be avoided. The pre-job brief allows workers to think through a job and use their knowledge to make the job not only safe but efficient. When performing the job brief identify any error precursors. For instance, this may be the first time that this job is being performed, or the equipment being worked on is new. Unfamiliar work can be error likely. In this case, discussing and using a human performance tool that ensures workers stop when unsure can be the difference between a safe and successful work evolution or a person being injured, and the equipment damaged. When a worker says to himself or to a co-worker “I think” or “I’m pretty sure” this is a good indication that the work should stop, and assistance obtained. The brief needs to identify these error likely situation and reinforce the use of the appropriate human performance tool(s). A pre-job brief is a simple yet very effective safety tool. 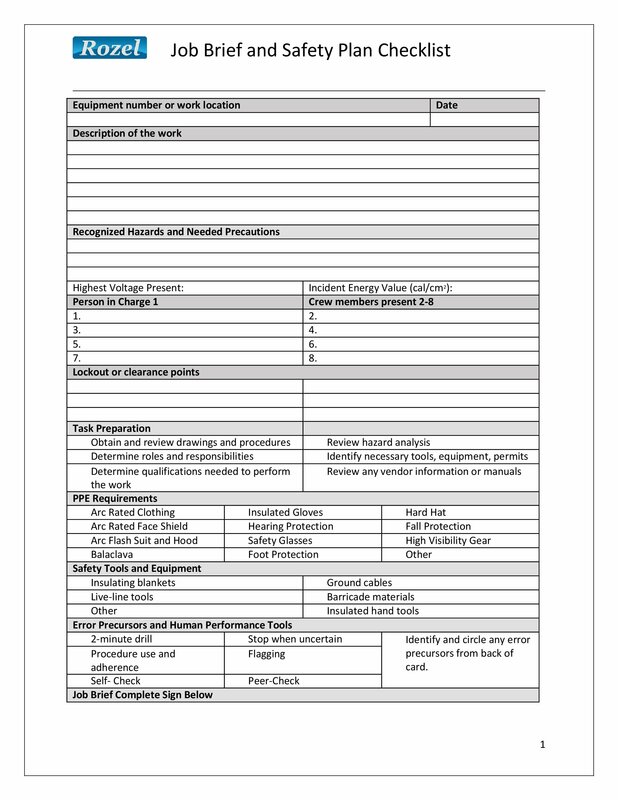 Download your copy of the Rozel pre-job brief card to use before all of your electrically related tasks. The two-sided card comes with a list of error precursors and associated human performance tools. Brian Hall CESCP is the Head Electrical Instructor for Rozel LLC.